This weekend the US State Department released its 2017 Human Rights Report on Albania. Whereas the main Albanian media outlets followed the lead of Voice of America in covering the corruption and lack of media freedom in the report, the findings are far-reaching and much more disturbing. First of all, the State Department’s Human Rights Report shows unequivocally that the 2018 Progress Report of the European Commission has utterly failed to properly evaluate the reinforcement of the protection of human rights in Albania, one of the five key priorities for the opening of EU accession negotiations. The legal framework for the protection of human rights is 5 broadly in line with European standards and Albania has ratified most international human rights conventions. The Ombudsman has been actively promoting the rights of vulnerable groups, including by submitting special reports and recommendations. The policy and legal framework on non-discrimination is broadly in line with European standards. – The AHC [Albanian Helsinki Committee] and the ombudsman reported that conditions in certain detention facilities were so poor as to constitute inhuman treatment. – The ombudsman and nongovernmental organizations (NGOs) reported that authorities held inmates with mental disabilities in regular prisons, where access to mental health care was wholly inadequate. – Facilities were cramped, afforded limited access to toilets, and had little or no ventilation, natural light, or beds and benches. Camera monitoring systems were nonexistent or insufficient in the majority of police stations. – While the law gives detainees the right to prompt access to an attorney, at public expense if necessary, NGOs reported interrogations often took place without the presence of a lawyer. – By law police should transfer detainees to the custody of the Ministry of Justice, which has facilities more appropriate for long-term detention, if their custody will exceed 10 hours. Due to overcrowding in the penitentiary system, detainees, including juveniles, commonly remained in police detention centers for long periods. – The constitution and law prohibit arbitrary arrest and detention. Although the government generally observed these prohibitions, there were instances when police detained persons for questioning for inordinate lengths of time without formally arresting them. – Court hearings were often not open to the public. Court security officers frequently refused to admit observers to hearings and routinely telephoned the presiding judge to ask whether to admit an individual seeking to attend a particular hearing. Recent examples of this fact include the pre-trial detention of the Rruga e Kombit protesters, and the detention of a US citizen without allowing her access to a lawyer for 7 hours. And this is only a small part of the damning findings in the report. Corruption continued to be a serious problem in detention centers, particularly in connection with access to work and special release programs. NGOs reported that those involved in work programs received only 90 leks (about $0.80) per month and did not receive credit for social security. In July 2016 the deputy general director of prisons, Iljaz Labi, was arrested for his involvement in creating fake procurement documents for food-supply companies. In February police arrested on similar corruption charges former general director of prisons, Artur Zoto, who had voluntarily resigned a few days after Labi’s arrest. During the year several other senior prison staff were arrested and convicted for supplying drugs to prisoners or demanding payment for access to family visits. The majority of prison directors in the country were fired during the year on grounds of corruption, abuse of office, and other violations of the law. Secondly, the US State Department’s Human Rights Report shows clearly how the US Embassy in Tirana has utterly failed to follow the priorities of the State Department. The Embassy has been completely silent on the treatment of detainees, for example in the recent case of the Rruga e Kombit protesters, even when evidence surfaced their rights had been blatantly violated. At the same time, the Embassy appears to be engaged a personal vendetta with a former General Prosecutor, while unlawfully interfering with a criminal investigation. 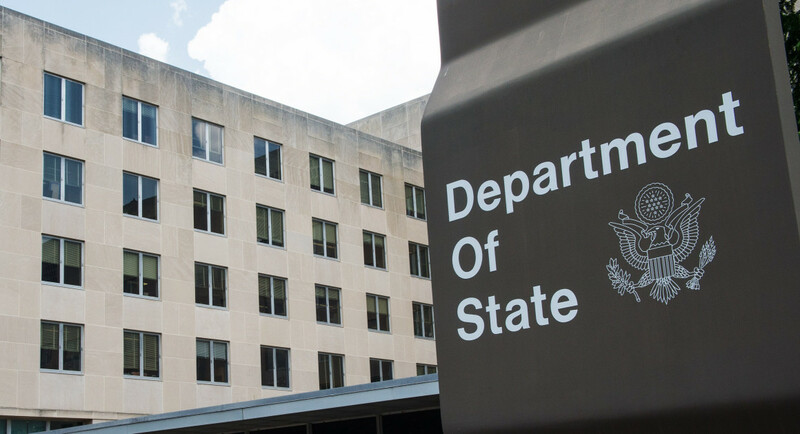 As of today, the US Embassy has failed to make any public mention of the State Department Report, or denounce the human rights situation in Albania. In fact, the most recent statement of he US Ambassador congratulates the Albanian police on capturing 614 kg of Colombian cocaine, after it allowed the owner to flee the country.